The year 2015 will be seen as the year that Manchester itself has gained its own city based gin. 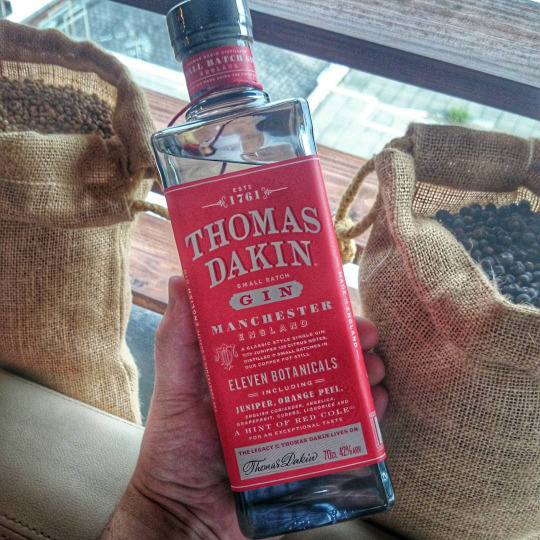 Although initial production will be housed from the relatively local, yet one of the oldest gin distilleries in the world, G&J Distillers in Warrington, the new brand of Thomas Dakin gin will be a Mancunian brand complete with its own distillery within the city limits. With the launch night been and gone, I was able to gain a glimpse of the gin itself, complete with Joanne Moore, Master Distiller at G&J Distillers, hosting an intimate tasting session. 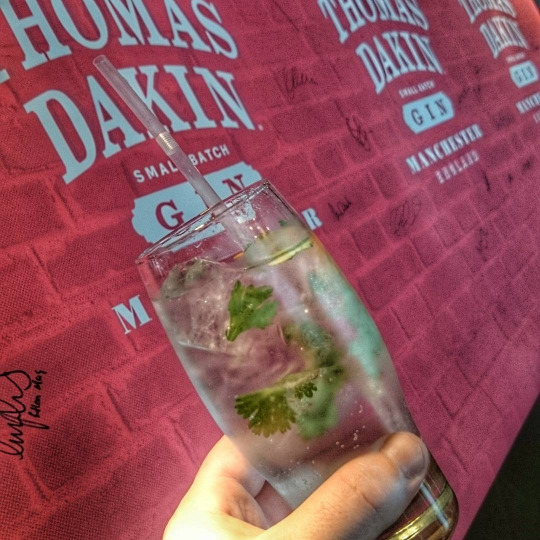 Thomas Dakin, if you are not aware, is the creator, founder and brain-child behind G&J Distillers itself, way back in 1761. It is only right then that the new expression be named after the man who started out in the distilling world when he was just 25 years old. Choosing Warrington due to its prosperous links between Liverpool and Manchester, joined together by the canal network and offering quick export of his produce to the country, Thomas Dakin became a pioneer when gin itself was seen as the ‘mothers ruin’ and the sabotage of its reputation through the likes of William Hogarth’s famous print ‘Gin Lane’. It comes as no surprise then that over 250 years later, Greenall’s gin is still available and enjoyed to this day, after the Greenall family became the owners of Mr Dakin’s original recipe back in 1860. Since then expressions such as BLOOM, Berkeley Square and Opihr have been introduced under the stewardship of Joanne, and now what could be her finest hour, her research of Thomas Dakin himself sees his name emblazoned upon a label for the world to see. With eleven botanicals within, including juniper, orange zest, coriander seeds, grapefruit, cubebs, liquorice root, angelica and the unique red cole (or horseradish as it’s more commonly known) the gin is created in the traditional, classic way, as seen back in 1761 within a baby pot still. The pot still itself will be uprooted and transported to its new premises, scheduled for the end of this year. Soft red cole, with hints of ripe grapefruit rind and coriander coming through. Sharp upon the palate, with a growing dry spice of liquorice and coriander. Fresh kicks of the grapefruit appear, alongside savoury notes of the juniper and the warmth of the red cole to give a long, bold finish. Pour the gin over a full glass of ice and top with the tonic water. Twist a 5cm strip of orange peel onto the top and garnish with a sprig of coriander. Combine all the ingredients within a mixing glass, add ice and stir. Strain into a rocks glass and garnish with an orange peel. Liverpool and Leeds have had their own respective gins for a year or two now, and Manchester has come onto the scene with a point of difference, standing out against the normal botanicals seen as working well the traditional flavours seen back in the 1700’s. One for the drinks cabinet for sure, and expect to see this in many bars in and around Manchester.